You’ve purchased a gun, but now what? Let’s look at 5 things that you’ll want to consider after purchasing a firearm. If you’ve purchased a handgun for personal protection, the next step is to find a holster that will suit your needs. That means taking some time to consider several questions: Would you wear the holster inside the waistband (IWB), or outside (OWB)? What position would you wear it on your body? Open carry or concealed? 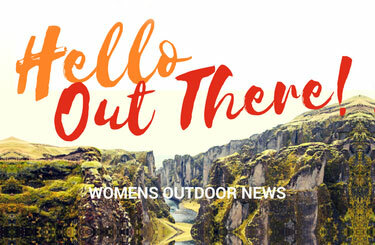 And what kind of clothing will you be wearing when you carry? The next objective is to find a holster that fits your specific handgun and has good retention. The last thing you want is for your firearm to fall out when you sit down or go about your daily activities. Your holster should cover the trigger guard. This will prevent anything from accidently snagging the trigger. Also, consider whether you’ll have any accessories on your firearm, such as a flashlight or laser. 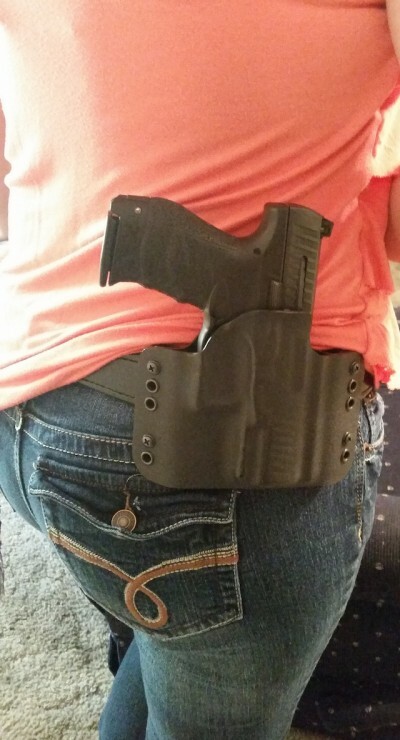 Choose a holster that can accommodate those additions. As with anything, people have varying opinions on the utility of flashlights and lasers. Should or shouldn’t they be used, which one is better, and do the pros outweigh the cons? Research shows that the majority of police shootings happen in low-light conditions, which also means that we as citizens have to prepare for such situations. Regardless of whether an incident occurs in your house at night or in a dimly lit parking lot, you must be able to identify your threat. That’s where a flashlight comes in handy. Also, merely shining the light on a possible attacker may cause him to flee, since he’s no longer hidden. And by shining the light directly into the eyes of a potential attacker, you could temporarily disorient or blind him, allowing you to escape. Lasers provide several different benefits. In low light a laser will help with target acquisition, allowing you to get a shot off faster. In a stressful situation, it might be difficult to focus on your sights while your body is going through a “fight or flight” response. Lasers also facilitate a more accurate shot from non-traditional angles, in case you’ve been knocked to the ground or have to shoot from an unusual position. A laser does not replace traditional sights, however; you should train with both in case the laser should fail. 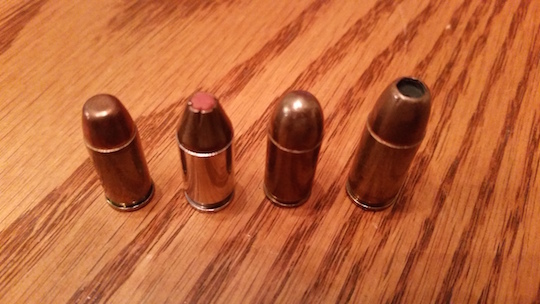 In order to choose the correct ammunition, you’ll need to know what caliber your firearm takes. 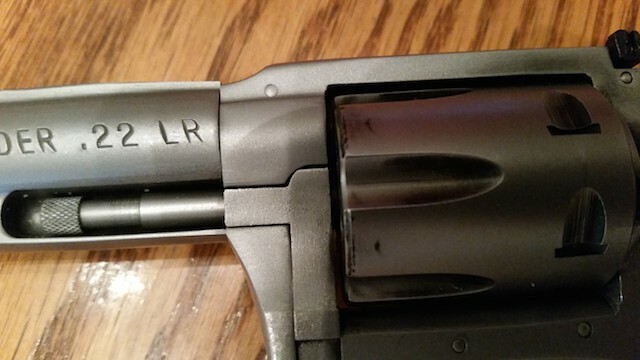 If you’re unsure, most guns have the caliber marked on the barrel or slide. Another option is to reference the owner’s manual, or contact the manufacturer directly. Ammunition comes in a variety of bullet designs, including full metal jacket, hollowpoint, semi-wadcutter and flex-tip. Knowing the differences between them will help you decide which type is best for your intended purpose. Will you use it for target practice or for personal defense? Target ammunition will generally have lower bullet weight and be a full metal jacket or semi-wadcutter design. These rounds are cheaper, which is important if you’re spending a lot of time (and ammo) practicing on the range. Personal- and home-defense ammunition is more expensive due to the need for higher reliability and performance—you’re trusting this ammo to potentially save your life someday. Hollowpoint or flex-tip cartridges are excellent choices for this purpose. A gun safe is an investment that you can’t skimp on, period. 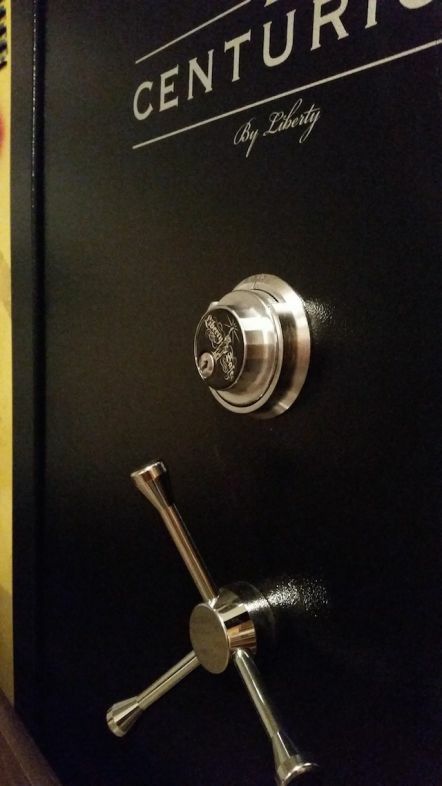 Whether you have one gun or an arsenal, you should have some sort of secure storage. Large safes provide necessary protection from intruders looking to take valuables during a burglary, and smaller safes and lock boxes allow you to access a firearm quickly. Both options offer a certain amount of inaccessibility to children and unauthorized adults. As a gun owner, it’s your responsibility to keep firearms out of the hands of children and unauthorized adults, so lock them up when they’re not in use. Many gun safes are also fire-resistant and waterproof, which means you can store important paperwork, jewelry and other valuables inside them, as well. 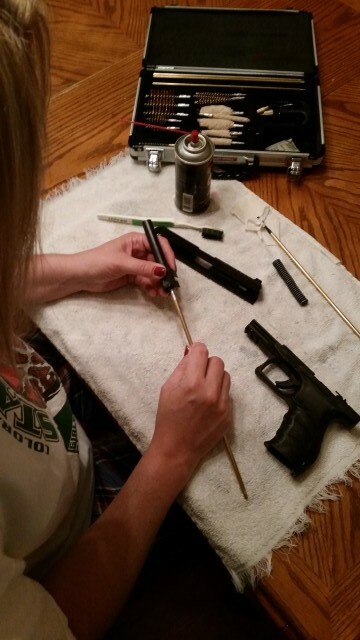 Cleaning your firearm ensures its proper functioning. Dirty guns are more likely to malfunction or jam when gunpowder and residue build up inside the barrel and internal workings. Check your owner’s manual for instructions on how to disassemble and reassemble your firearm. If you don’t have a manual, you can contact the manufacturer for one, or check YouTube for step-by-step instruction videos. Remember to follow all safety rules and instructions while handling and cleaning firearms. Although there are many other items that you might consider purchasing after you buy a firearm, these 5 products should top your priority list. 6. If buying a semi-auto, be sure to buy spare magazines as well. Great addition. We probably should have had 10 things! Thanks, T Kerr, for reading The WON.